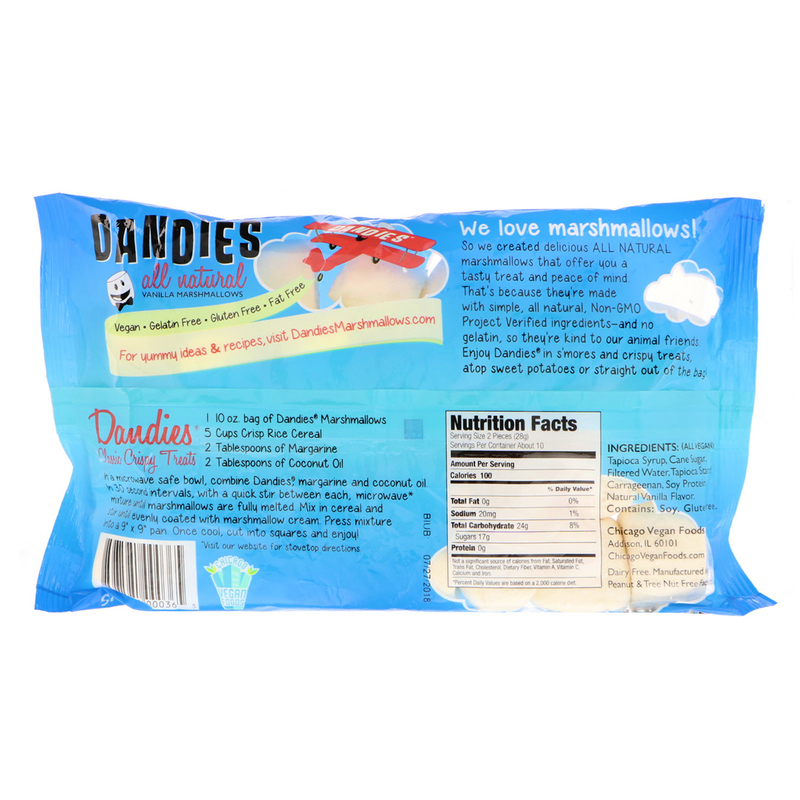 So we created delicious All Natural marshmallows that offer you a tasty treat and peace of mind. That's because they're made with simple, all natural. Non-GMO Project Verified ingredients - and no gelatin, so they're kind to our animal friends. 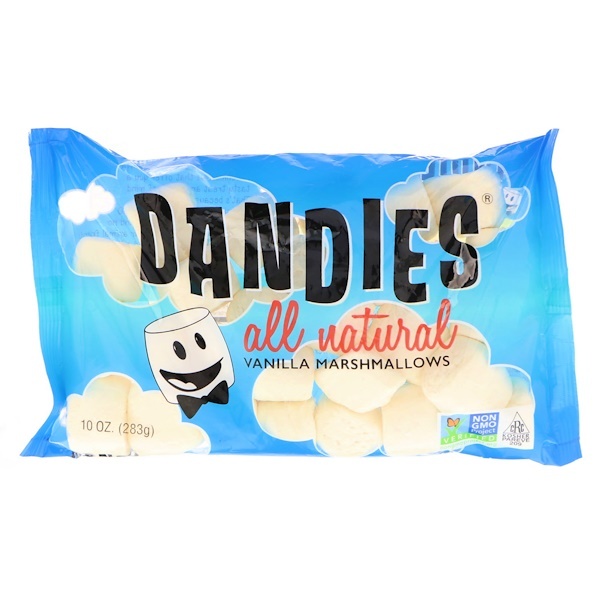 Enjoy Dandies in s'mores and crispy treats, atop sweet potatoes or straight out of the bag! In a microwave safe bowl, combine Dandies, margarine and coconut oil. In 30 second intervals, with a quick stir between each, microwave mixture* until marshmallows are fully melted. Mix in cereal and stir until evenly coated with marshmallow cream. Press mixture into a 9" x 9" pan. Once cool, cut into squares and enjoy! *Visit our website for stovetop directions. Dairy Free. Manufactured in a peanut & tree nut free facility. *Percent Daily Values area based on a 2,000 calorie diet.